WASHINGTON (Reuters) - The Democratic-led U.S. House of Representatives will vote in April on a bill to reinstate landmark net neutrality rules repealed by the Federal Communications Commission under U.S. President Donald Trump. House Majority Leader Steny Hoyer said in a letter to colleagues on Thursday seen by Reuters that lawmakers will vote on the bill dubbed the "Save the Internet Act" during the week of April 8.
barred providers from blocking or slowing internet content or offering paid "fast lanes." 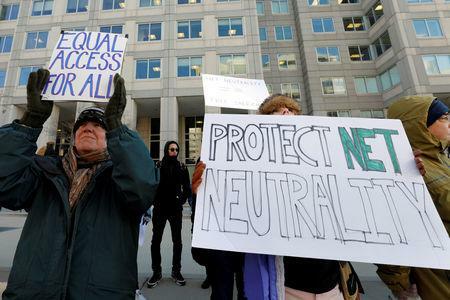 The reversal of net neutrality rules was a win for internet providers like Comcast Corp, AT&T Inc and Verizon Communications Inc, but opposed by content and social media companies like Facebook Inc, Amazon.com Inc and Alphabet Inc. 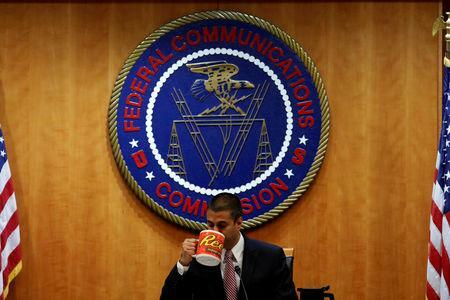 The bill would repeal the order introduced by FCC Chairman Ajit Pai, bar the FCC from reinstating it or a substantially similar order and reinstate the 2015 net neutrality order. Republicans oppose reinstating the 2015 rules that grant the FCC sweeping authority to oversee the conduct of internet providers. The Senate, which is controlled by Republicans, voted in May 2018 to reinstate the rules, but the House did not take up the issue before Congress adjourned last year. The White House opposes reinstating the net neutrality rules and it is not clear that proponents will be able to force a vote in the Senate.